It was the best of times; it was the worst of times. Data on craft breweries released yesterday by the Brewers Association trade group showed 2017 saw a record number of craft brewery openings—and a record number of craft brewery closings. In the U.S., 997 craft breweries opened while 165 shuttered. According to the BA, the number of American craft breweries in 2017 stood at a record 6,372, and they make up 12.7 percent market share of total beer volume. The good news for craft breweries—read the BA’s definition of that term here—is that the industry increased its volume and dollar sales; and created 6,000 more jobs than the year prior. But more breweries than ever also means more competition than ever, a fact the BA’s chief economist Bart Watson acknowledged. 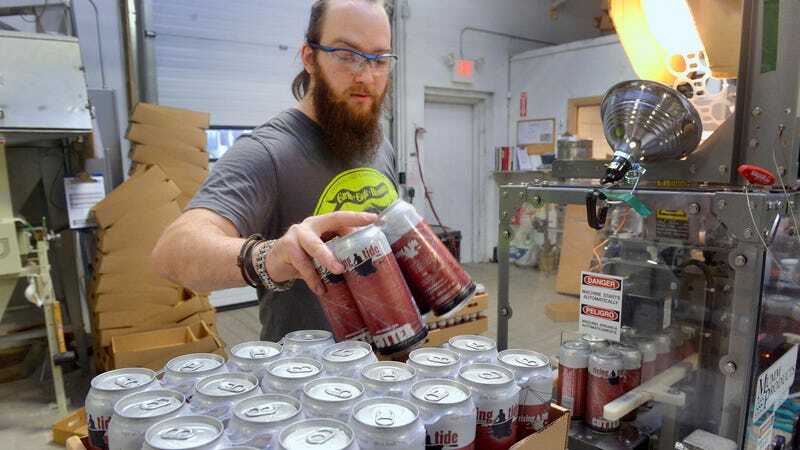 In lay speak, he’s saying that the draw of those local brewery taprooms—which are popping up in even the smallest of towns these days—are putting pressure on some of the mid-sized breweries that rely on distributors and sales in grocery stores, bars, and liquor stores. But it’s not just regional or mid-sized breweries feeling pressure; little guys can fail, too. As in any industry, there are brewery business plans that just don’t work out: They’re overambitious in their sales goals, or have too many in-fighting investors, or they just don’t make a product that resonates with consumers. Just a few years ago, it seemed American drinkers had an unslakable thirst for craft breweries. Now that we’re presented with more beer choices than ever, we’re becoming a bit more discerning in where we spend our hard-earned booze money. Unfortunately, this means a percentage of breweries every year are going to bite the dust. Does cooking with sprouted garlic make food taste bad?